3-6 (6-12, 18-24) months, 11.75 (14, 16.5” circumference, unstretched). Sample shown is 6-12 months. Simple knits and purls transform into elegant diamonds in this sweet baby hat! 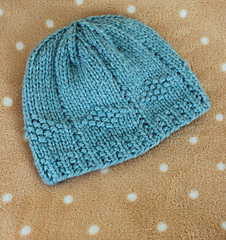 Knit in a cozy, washable merino yarn, this hat is sure to become a favorite for mother and baby alike. 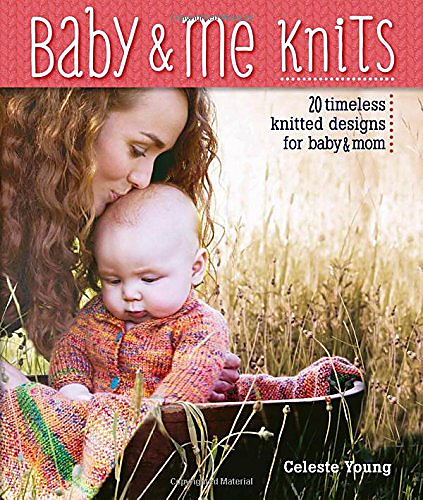 Finished sizes: 3-6 (6-12, 18-24) months, 11.75 (14, 16.5” circumference, unstretched). Sample shown is 6-12 months. Yarn: Cascade 128 Superwash (100% Superwash Merino; 128 yd 117 m/100 g): #1910 Summer Sky Heather, 1 hank.